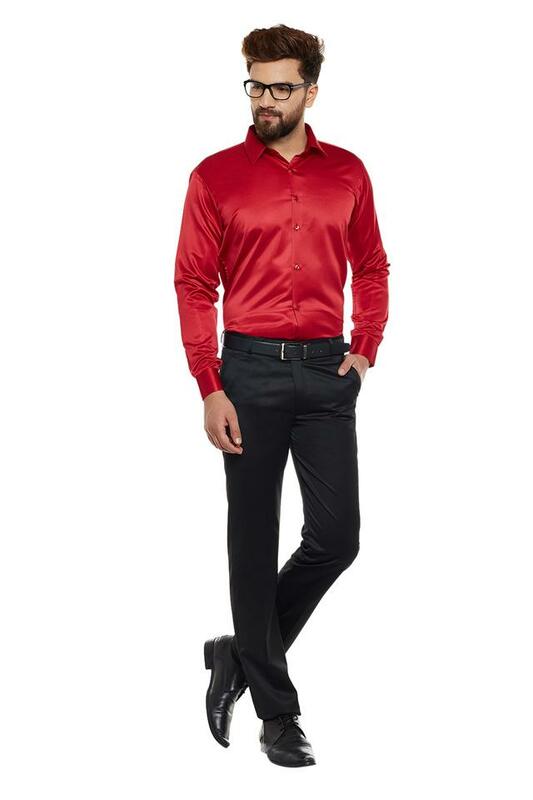 Build your formal wardrobe with this classic shirt from Hancock. 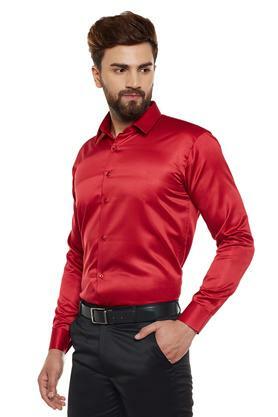 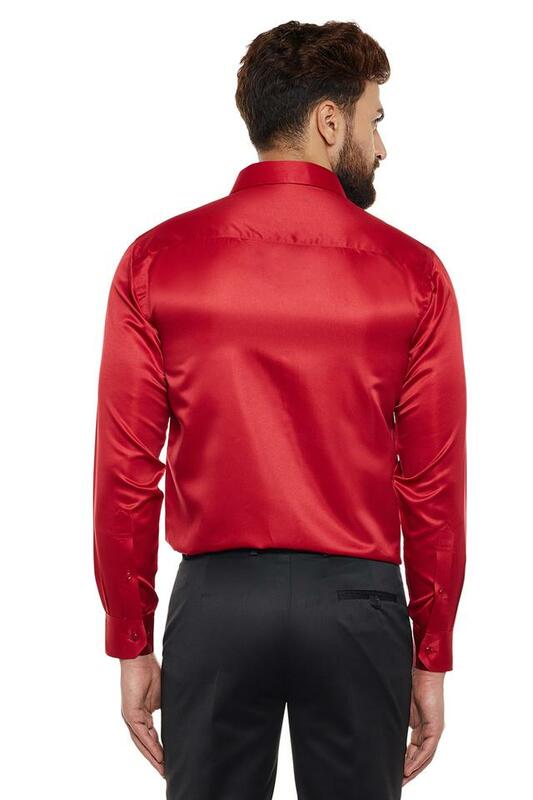 Fashioned using polyester fabric, this solid shirt will not fail to catch your fancy at a single glance. Crafted with unique design this full sleeves shirt comes with french collar and slim fit that accentuates its look. 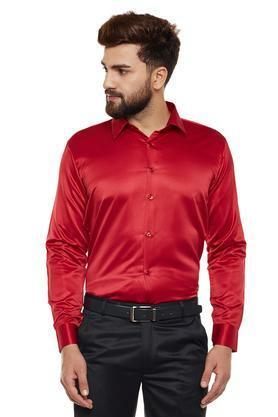 Add a playful twist to your looks with this shirt . Well-suited for regular use and for office outings, this simple shirt is sure to attract a lot of admirers.